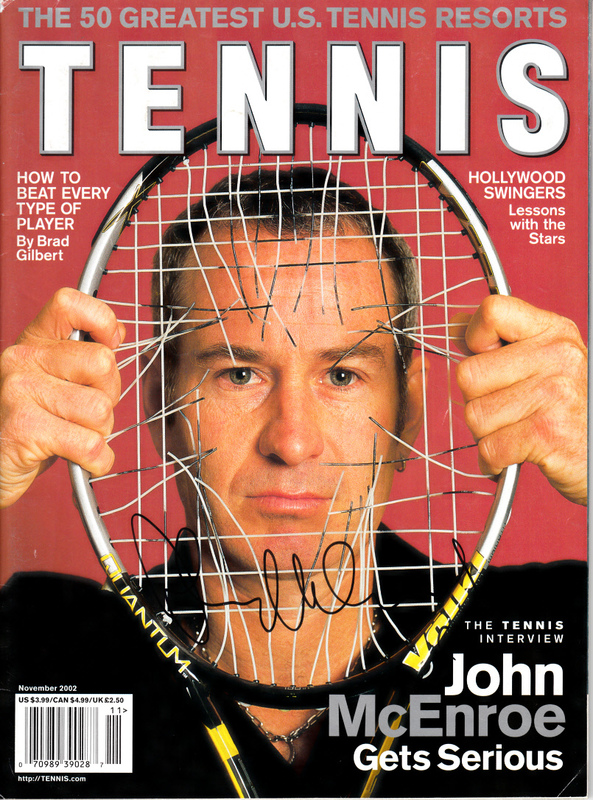 Complete 2002 issue of Tennis magazine autographed in black marker by legendary Hall of Famer John McEnroe. Obtained in person, with certificate of authenticity from AutographsForSale.com. HAS MINOR HANDLING FLAWS AND WEAR. 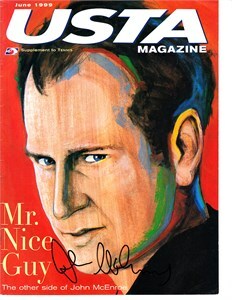 ONLY ONE OF THIS ISSUE AVAILABLE FOR SALE.